What Can Fuzzy Logic Toolbox Software Do? In recent years, the number and variety of applications of fuzzy logic have increased significantly. The applications range from consumer products such as cameras, camcorders, washing machines, and microwave ovens to industrial process control, medical instrumentation, decision-support systems, and portfolio selection. To understand why use of fuzzy logic has grown, you must first understand what is meant by fuzzy logic. Fuzzy logic has two different meanings. In a narrow sense, fuzzy logic is a logical system, which is an extension of multivalued logic. However, in a wider sense fuzzy logic (FL) is almost synonymous with the theory of fuzzy sets, a theory which relates to classes of objects with unsharp boundaries in which membership is a matter of degree. In this perspective, fuzzy logic in its narrow sense is a branch of FL. Even in its more narrow definition, fuzzy logic differs both in concept and substance from traditional multivalued logical systems. In Fuzzy Logic Toolbox™ software, fuzzy logic should be interpreted as FL, that is, fuzzy logic in its wide sense. The basic ideas underlying FL are explained in Foundations of Fuzzy Logic. What might be added is that the basic concept underlying FL is that of a linguistic variable, that is, a variable whose values are words rather than numbers. In effect, much of FL may be viewed as a methodology for computing with words rather than numbers. Although words are inherently less precise than numbers, their use is closer to human intuition. Furthermore, computing with words exploits the tolerance for imprecision and thereby lowers the cost of solution. Another basic concept in FL, which plays a central role in most of its applications, is that of a fuzzy if-then rule or, simply, fuzzy rule. Although rule-based systems have a long history of use in Artificial Intelligence (AI), what is missing in such systems is a mechanism for dealing with fuzzy consequents and fuzzy antecedents. In fuzzy logic, this mechanism is provided by the calculus of fuzzy rules. The calculus of fuzzy rules serves as a basis for what might be called the Fuzzy Dependency and Command Language (FDCL). Although FDCL is not used explicitly in the toolbox, it is effectively one of its principal constituents. In most of the applications of fuzzy logic, a fuzzy logic solution is, in reality, a translation of a human solution into FDCL. A trend that is growing in visibility relates to the use of fuzzy logic in combination with neurocomputing and genetic algorithms. More generally, fuzzy logic, neurocomputing, and genetic algorithms may be viewed as the principal constituents of what might be called soft computing. Unlike the traditional, hard computing, soft computing accommodates the imprecision of the real world. The guiding principle of soft computing is: Exploit the tolerance for imprecision, uncertainty, and partial truth to achieve tractability, robustness, and low solution cost. In the future, soft computing could play an increasingly important role in the conception and design of systems whose MIQ (Machine IQ) is much higher than that of systems designed by conventional methods. Among various combinations of methodologies in soft computing, the one that has highest visibility at this juncture is that of fuzzy logic and neurocomputing, leading to neuro-fuzzy systems. Within fuzzy logic, such systems play a particularly important role in the induction of rules from observations. An effective method developed by Dr. Roger Jang for this purpose is called ANFIS (Adaptive Neuro-Fuzzy Inference System). This method is an important component of the toolbox. Fuzzy logic is all about the relative importance of precision: How important is it to be exactly right when a rough answer will do? You can use Fuzzy Logic Toolbox software with MATLAB® technical computing software as a tool for solving problems with fuzzy logic. 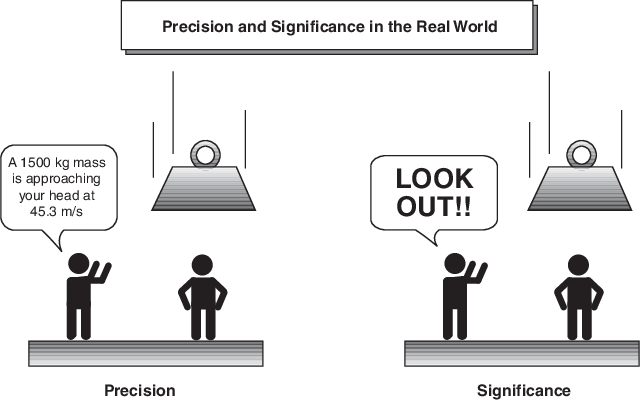 Fuzzy logic is a fascinating area of research because it does a good job of trading off between significance and precision — something that humans have been managing for a very long time. In this sense, fuzzy logic is both old and new because, although the modern and methodical science of fuzzy logic is still young, the concepts of fuzzy logic relies on age-old skills of human reasoning. With information about how good your service was at a restaurant, a fuzzy logic system can tell you what the tip should be. With your specification of how hot you want the water, a fuzzy logic system can adjust the faucet valve to the right setting. With information about how far away the subject of your photograph is, a fuzzy logic system can focus the lens for you. With information about how fast the car is going and how hard the motor is working, a fuzzy logic system can shift gears for you. A graphical example of an input-output map is shown in the following figure. Determining the appropriate amount of tip requires mapping inputs to the appropriate outputs. Between the input and the output, the preceding figure shows a black box that can contain any number of things: fuzzy systems, linear systems, expert systems, neural networks, differential equations, interpolated multidimensional lookup tables, or even a spiritual advisor, just to name a few of the possible options. Clearly the list could go on and on. Of the dozens of ways to make the black box work, it turns out that fuzzy is often the very best way. Why should that be? As Lotfi Zadeh, who is considered to be the father of fuzzy logic, once remarked: "In almost every case you can build the same product without fuzzy logic, but fuzzy is faster and cheaper." Fuzzy logic is conceptually easy to understand. The mathematical concepts behind fuzzy reasoning are very simple. Fuzzy logic is a more intuitive approach without the far-reaching complexity. With any given system, it is easy to layer on more functionality without starting again from scratch. Fuzzy logic is tolerant of imprecise data. Everything is imprecise if you look closely enough, but more than that, most things are imprecise even on careful inspection. Fuzzy reasoning builds this understanding into the process rather than tacking it onto the end. Fuzzy logic can model nonlinear functions of arbitrary complexity. You can create a fuzzy system to match any set of input-output data. This process is made particularly easy by adaptive techniques like Adaptive Neuro-Fuzzy Inference Systems (ANFIS), which are available in Fuzzy Logic Toolbox software. In direct contrast to neural networks, which take training data and generate opaque, impenetrable models, fuzzy logic lets you rely on the experience of people who already understand your system. Fuzzy logic can be blended with conventional control techniques. Fuzzy systems don't necessarily replace conventional control methods. In many cases fuzzy systems augment them and simplify their implementation. Fuzzy logic is based on natural language. The basis for fuzzy logic is the basis for human communication. This observation underpins many of the other statements about fuzzy logic. Because fuzzy logic is built on the structures of qualitative description used in everyday language, fuzzy logic is easy to use. The last statement is perhaps the most important one and deserves more discussion. Natural language, which is used by ordinary people on a daily basis, has been shaped by thousands of years of human history to be convenient and efficient. Sentences written in ordinary language represent a triumph of efficient communication. Fuzzy logic is not a cure-all. When should you not use fuzzy logic? The safest statement is the first one made in this introduction: fuzzy logic is a convenient way to map an input space to an output space. If you find it's not convenient, try something else. If a simpler solution already exists, use it. Fuzzy logic is the codification of common sense — use common sense when you implement it and you will probably make the right decision. Many controllers, for example, do a fine job without using fuzzy logic. However, if you take the time to become familiar with fuzzy logic, you'll see it can be a very powerful tool for dealing quickly and efficiently with imprecision and nonlinearity. You can create and edit fuzzy inference systems with Fuzzy Logic Toolbox software. You can create these systems using graphical tools or command-line functions, or you can generate them automatically using either clustering or adaptive neuro-fuzzy techniques. 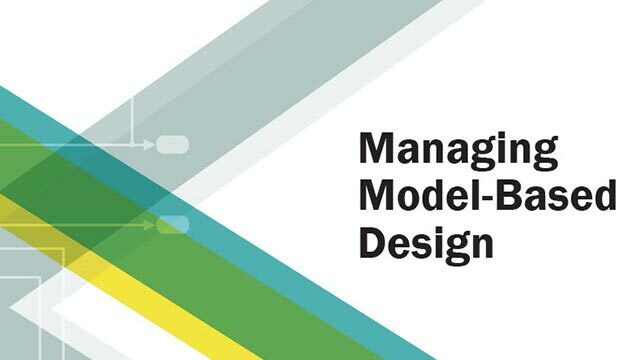 If you have access to Simulink® software, you can easily test your fuzzy system in a block diagram simulation environment. The toolbox also lets you run your own stand-alone C programs directly. This is made possible by a stand-alone Fuzzy Inference Engine that reads the fuzzy systems saved from a MATLAB session. You can customize the stand-alone engine to build fuzzy inference into your own code. All provided code is ANSI® compliant. Because of the integrated nature of the MATLAB environment, you can create your own tools to customize the toolbox or harness it with another toolbox, such as the Control System Toolbox™, Deep Learning Toolbox™, or Optimization Toolbox™ software.